Biology in Science Fiction: Could the Solar System be Rife with Life? Could the Solar System be Rife with Life? 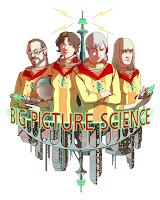 Big Picture Science is a radio program produced by the SETI Institute's radio studio in Mountain View, California. SETI stand for earch for extra-terrestrial intelligence, but the Institute also is interested in the original and nature of life in the universe in general. This week's radio show "Rife with Life" explored whether there could be life in our solar system somewhere other than Earth. The discussion panel included planetary scientists Cynthia Phillips, Alexander Hayes, Rachel Mastrapa, Robert Lillis, who discuss the environmental conditions on the various bodies in our solar system that might support extraterrestrial life. Joining them was science fiction writer Robert J. Sawyer, who talked about the appearance of aliens from around our solar system in fiction. The tour of the solar system begins, naturally, on Mars. It all started with HG Wells' War of the Worlds, in which a dying civilization on Mars invades Earth. But Sawyer points out that it's not until Stanley Weinbaum's "A Martian Odyssey" that we get science fictional Martians who seem well adapted to the dry desert-like surface conditions on Mars. But over the years it has become apparent that it's unlikely that there is any life (currently) on Mars, and so it has become less popular as a setting for alien cultures. 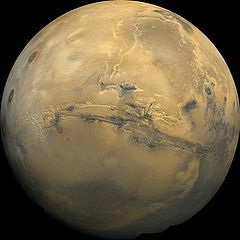 Kim Stanley Robinson's Mars trilogy, for example, assumes that Mars is essentially sterile when humans settle there and begin the terraforming process. Sawyer predicts that there is going to be a renaissance of Mars-based science fiction in the near future. Not coincidentally, he's currently working on his own novel set on Mars, tentatively titled The Great Martian Fossil Rush. After leaving Mars, the tour moves on to Jupiter and its moon Europa, Saturn's moons Titan and Enceladus, and even the Sun. All of them have been used as the home of fictional aliens except Enceladus, so that's something to keep in mind if you are looking for an unusual setting for your next novel. I recommend listening to the whole Big Picture Science episode "Rife with Life" for an interesting discussion of both the science and science fiction of possible extraterrestrial life in our solar system. Maybe we'll find life out there yet. Kendall Evans & I wrote a long poem a few years back in which we posited that there's life on Enceladus. Not quite a novel, though.